A different take on pinball! This is Multiplayer Arena Pinball. Bounce around to rack up combos, use powerful abilities -- and dominate the playing field. 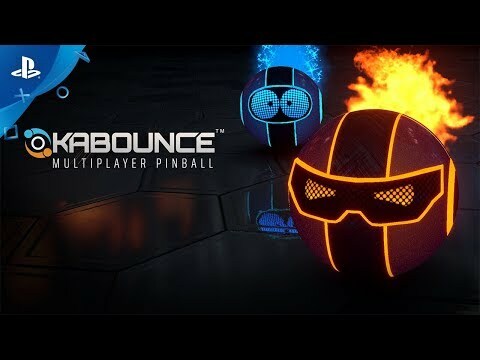 Launching on PS4™, Kabounce is a completely new take on pinball. Compete in short multiplayer arena sessions in an all-out team-versus-team format and score the most points to crush the opposition. Capture bumpers and change the field to your team color to earn points, eliminate opponents to steal their points -- score to bank your points for your team. Train and test your skills in parkour-like Time Attack maps, compete on the leaderboards and challenge your friends at home (offline splitscreen) or play with them online. Online Multiplayer: Up to 8-player online, 4 versus 4, with cross-platform play with PC! Roll in style: Billions of possibilities to personalize your pinball! Play challenge levels in single player, featuring racing, platforming and parkour-like trick shot tracks. Complete levels to set times on the leaderboards and earn stars. Group up with friends to complete tracks together, or race each other to show who is the best. Find hidden loot in levels and unlock trophies to receive new customization to really make your pinball-character shine. Kabounce is all about tight control of your ball. 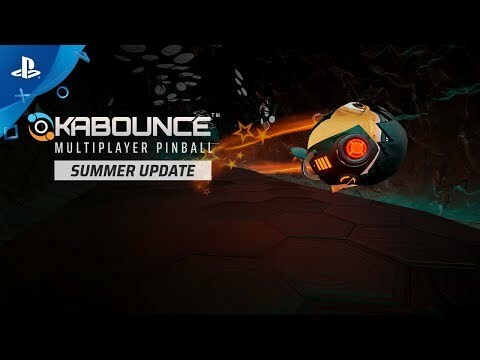 Bounce and spin your ball to reach incredible speeds, or launch yourself into aerial platforming routes to surprise your opponents with an attack from above! Master your movement in this unique team-versus-team pinball experience, dominate the playing field with powerful abilities and annihilate your opponents to take their points by force. © 2018 Stitch Heads. All Rights Reserved. Stitch Heads, Kabounce and the Stitch Heads and Kabounce logo are trademarks of Stitch Heads Entertainment.